If You Go Away Where Am I Going? Arriving in the world in 1964, I have childhood memories of some 60s pop singers. I don’t recall the Beatles or the Rolling Stones much, but I do recall the ones who had TV shows. Cliff Richard was one, and then there was Cilla Black, but even at a very young age I could tell she couldn’t sing very well. Lulu was from Glasgow and had great clothes, Sandie Shaw had great clothes and cheekbones. But the one I remember the best is Dusty Springfield. Dusty had a distinctive blonde beehive and black lined eyes. And she had one of the best voices I have ever heard. Even as a young child I knew this, and although her career had probably more lows than highs after the 60s ended, I found her intriguing. One of the finest singers the UK has ever produced, let’s look at 12 songs from her extensive catalogue – I’ve been given special dispensation to write about 12 songs rather than the usual Toppermost 10. Born Mary Isobel Catherine Bernadette O’Brien in 1939 in London, Dusty came from a solid upper middle class background. She joined the Springfields with her brother Tom and they enjoyed UK chart success in the very early 60s with a folk/country sound. 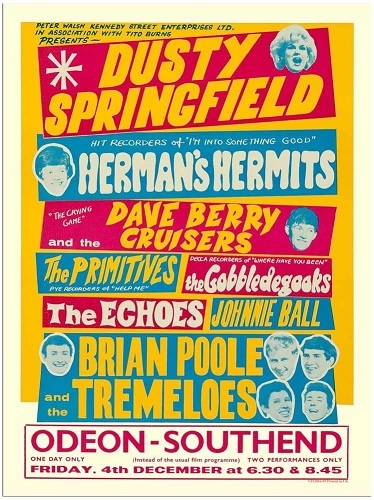 However, Dusty became more drawn to a pop and soul sound and after The Springfields disbanded in 1963 she went solo. My first pick is her debut 45, the classic I Only Want To Be With You, released in November 1963. Co-written and arranged by Ivor Raymonde, it reached #4 in the UK chart and #12 on the Billboard Hot 100. A stormer of a song, it was the perfect launch pad for Dusty’s pop career. She recorded several Burt Bacharach and Hal David songs. I could have chosen any one of them but I’ve picked I Just Don’t Know What To Do With Myself – her performance is astounding and it perfectly showcases the power of her voice. It also earned her a top 3 hit in 1964. Some of Dusty’s B-sides were equally as good as the A-sides. An example of this is her powerful rendition of Summer Is Over which was co-written by her brother Tom and had been originally recorded by Frank Ifield. It was the flip side of her 1964 single, Losing You. Although both versions were recorded in 1964, Ifield’s sounds dated for even then, whereas Dusty’s version, arranged again by Ivor Raymonde, still sounds fresh today. In 1965, she performed at the San Remo Music Festival but didn’t progress past the semi-final stage. However, she heard a song performed in Italian which moved her. Her friends Vicki Wickham and Simon Napier-Bell wrote English lyrics to the melody, which became her only solo number one single, You Don’t Have To Say You Love Me. Dusty famously called it “old fashioned schmaltz” but its big production and her brilliant performance make it another 60s classic. One of Dusty Springfield’s must poignant vocal performances is realised in her version of Goin’ Back, written by Gerry Goffin and Carole King. Originally recorded by Goldie (of Goldie and the Gingerbreads fame), her version was pulled after Goffin and King discovered that the lyrics had been altered by Andrew Loog Oldham. King had originally wanted to record it herself but fortunately she handed it over to the maestro, Dusty. It was a hit single but didn’t feature on any of her 60s albums. King eventually did record the song in 1970 and it was also covered by the Byrds. Dusty’s 1967 LP, Where Am I Going?, found her at something of a crossroads, but it’s a fine album, featuring her heart-wrenching version of Jacques Brel’s If You Go Away with Rod McKuen’s English lyrics. This is one of her finest moments and video survives of an emotional live performance on her BBC TV show, Dusty. Dusty also recorded several songs by Randy Newman. I really struggled to choose from these but I’ve gone with I Think It’s Going To Rain Today. Taken from her 1968 LP Dusty… Definitely, it’s perfectly arranged and Dusty’s slightly breathy delivery is irresistible. In 1969, she signed to Atlantic Records and began work on her finest album, the wonderful Dusty In Memphis. It gave us the classic Son Of A Preacher Man, where Dusty really proved she was a fantastic soul singer, but it’s hard to choose a favourite. I’ll go with her wonderful version of The Windmills of Your Mind, an Oscar winning song originally performed by Rex Harrison’s son Noel. Dusty never connected with the song and said she didn’t understand what the lyrics were about, yet her performance is so perfect, you’d never know. In 1970, she released her version of the Young Rascals’ 1967 hit, How Can I Be Sure. Dusty’s take was inspired by the French language version of the song recorded by singer Nicoletta which had sold a million copies in the Francophone market. There’s a perfect build up in the delivery which nobody did better than Dusty. The B-side of this single was another great cover, Spooky, which was originally recorded by Florida band Classics IV as an instrumental. Dusty’s version perfectly showcases her sensual delivery. Dusty decamped to the US for most of the 70s to get away from the prying UK media, hoping to ‘out’ her as gay. She had famously revealed in an interview that she was “as likely to be swayed by a girl as a boy” but quickly went back into the closet for many years; these were less enlightened times. She became reclusive as she struggled with addiction issues throughout the 70s and her career went into what seemed like terminal decline. There were some false starts at getting things back on track, until 1987 when she accepted an invitation to sing on Pet Shop Boys’ track What Have I Done To Deserve This? which was a huge hit on both sides of the Atlantic. She followed this up with the 1990 LP, Reputation, featuring several tracks written by Neil Tennant and Chris Lowe. My favourite of these is Nothing Has Been Proved from the film, Scandal. Dusty’s breathy delivery is as brilliant as ever. Only one more LP followed, A Very Fine Love, in 1995, which was recorded in Nashville with the working title ‘Dusty In Nashville’, but when the songs had a less country flavour than originally planned, the title was changed. By now Dusty was suffering from breast cancer and she had retired from the public view by 1996. She died on 2nd March 1999, aged just 59. She left a legacy of so many great recordings, it’s proved difficult to choose just 12. The depth of styles she was able to perform is breathtaking and her voice still utterly distinctive. She had a great ear for the best songs, which is a talent in itself. Dusty Springfield was also an icon; that big blonde beehive and those black eyes still synonymous with Dusty over 50 years on. She really was one of the finest singers this country, and indeed the world, has ever produced. Joyce Gibson is a lifelong music fan, inherited from her dad and now passed on to her niece. 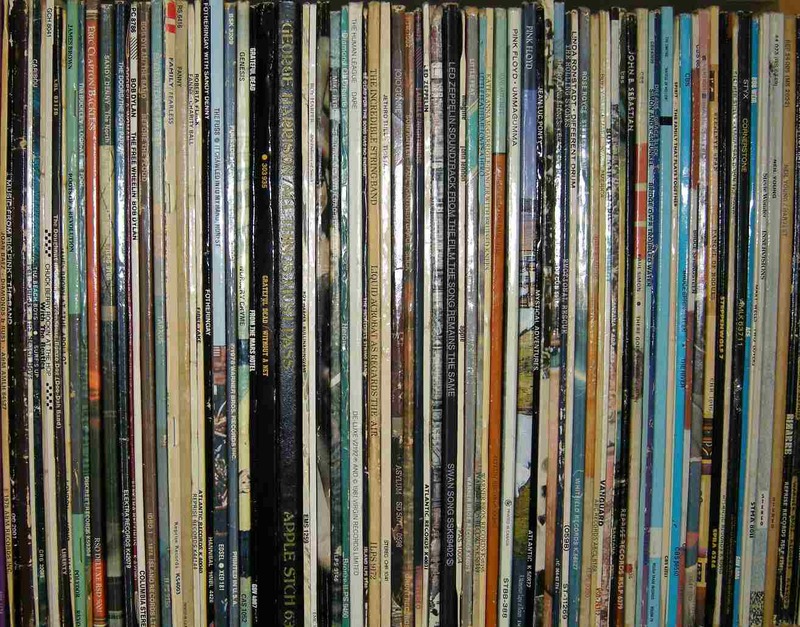 She’s been buying records for over 40 years and going to gigs since the 70s (just!) and enjoys writing about music when working full-time doesn’t get in the way. Joyce tweets @northseacrashes and co-hosts @PsychoSundae featuring the best psych and garage tunes chosen by followers. However, she listens to many genres of music as her Toppermost articles attest. Many thanks, Joyce. Much enjoyed. I would have to squeeze in “Just a little loving”. I was trying to find “How can I be sure” by Nicoletta. Any idea what the title was in French? Thank you! Nicoletta’s version of How Can I Be Sure was Je ne pense qu’à t’aimer. Here it is. Thanks for the link, Joyce. A Toppermost that’s long overdue but boy, it was worth the wait. Many thanks Joyce. I might have tried to squeeze in her version of Long After Tonight Is All Over but that’s just because I’m a sucker for the song. Joyce, thanks for this great piece on a superb artist. Will, of course, have to point out Dusty’s Irish connections – who as you say began life as Mary O’Brien before inventing the Dusty character. Might have to get ‘I Close My Eyes’ in there somehow but hard to take out any of these tracks. Excellent, so easy to think of eight more tracks and bring it to 20. I’d thought Wishin’ and Hopin’ immediately too, but I love Ani diFranco’s cover over the credits yo “My Best Friend’s wedding.” Glad to see Goin’ Back which would be my first choice. Some of Your Loving? maybe.